Named after one of Kerala's oldest counties, Travancore restaurant at Trident, Cochin offers the best of local cuisine in all its delicious glory. 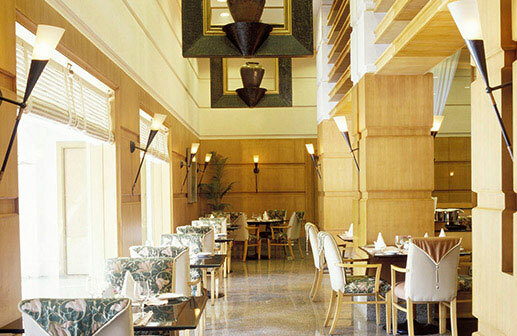 Situated at the lobby level, the restaurant also offers Continental classics and regional Indian cuisine. Kick start your day with some eggs, made to order, or a lavish Indian buffet breakfast, accompanied by some piping hot south Indian coffee or fresh fruit juice. For lunch or dinner, you can take your pick of local delicacies such as Kerala cheemeen fry (pan seared, spiced shrimps), Keralan fish curries, classic lamb seekh kebabs, mezze platters, grilled meats and fish, authentic Italian pizzas, pastas and risottos. Open from 6.30am to 10.30pm, Travancore restaurant is the ideal place for an early breakfast, leisurely brunch, business lunch or lavish dining experience with family and friends.